RedHotRita is a destination for funny insights into office life from Rita, a third world culture kid, moved to the US, became a citizen and ended up working for an global brand. She has a love of fashion and tremendous appetite for delicious food. And in order to eat such amounts of food, she occasionally works out too. This picture pretty much sums up my life. I am Chinese and was born in Hong Kong, but grew up in Jakarta, Indonesia. 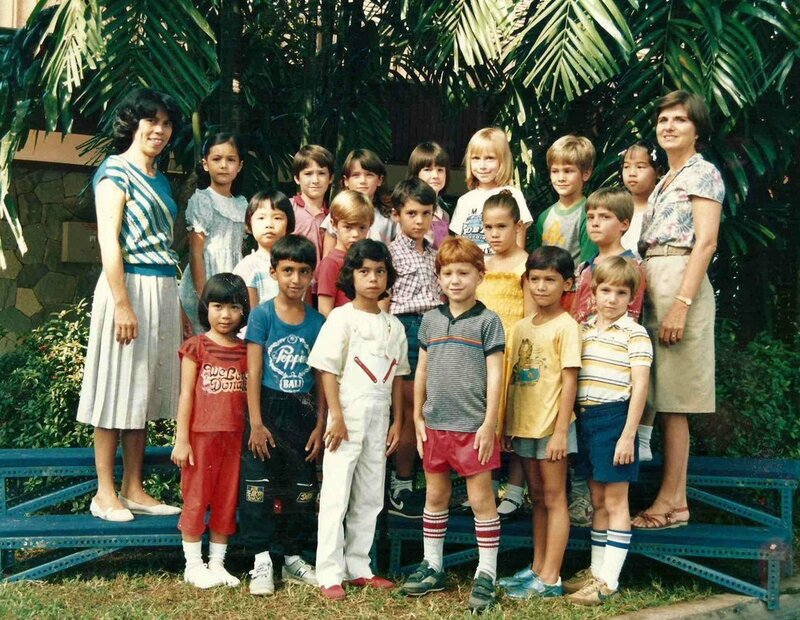 This is my 3rd grade class picture at the Jakarta International School. I loved that school because it embodied so many different nationalities. In that class alone, I had friends that were American, Indian, Philipino, Turkish, Dutch, Taiwanese, Danish and German. I'm the first one on the left on the second row. Don't I look so serious? Really, I was a bratty kid, mostly a good two shoes with a streak for getting in trouble for talking too much and being friends with everyone. My up bringing in this school truly was a big part of how I became the person that I am today and has helped me tremendously in the corporate world, but most importantly on how to deal with people of all backgrounds of all ages and in different type of situations. Add to that, I was raised by a deaf father and an entrepreneurial, strong minded mother who worked in the fashion industry then import business for French and Japanese companies, which makes for an interesting childhood, with lots of stories. Finally, being that I grew up in Indonesia, I LOVE spicy food, hence RedHotRita! These days my stomach can't handle the spice like I used to, but I still enjoy hot sauce on something literally every day. But I guess I like a little, okay, a LOT of spice in life. Being "spicy" could mean you are saucy, lots of laughter, like having fun and you may even be a little temperamental. But in short, I like to try and live a life full of passion, and it took me a while to find what that is.